I wanted to do something with black and gold. This is what I came up with. I also realized that I need another golden polish. This gold is called Just Spotted The Lizard from the Spiderman Collection by OPI, which is a very nice color. I love chromes but I feel like I just really need to have a more metallic gold one. Any suggestions? 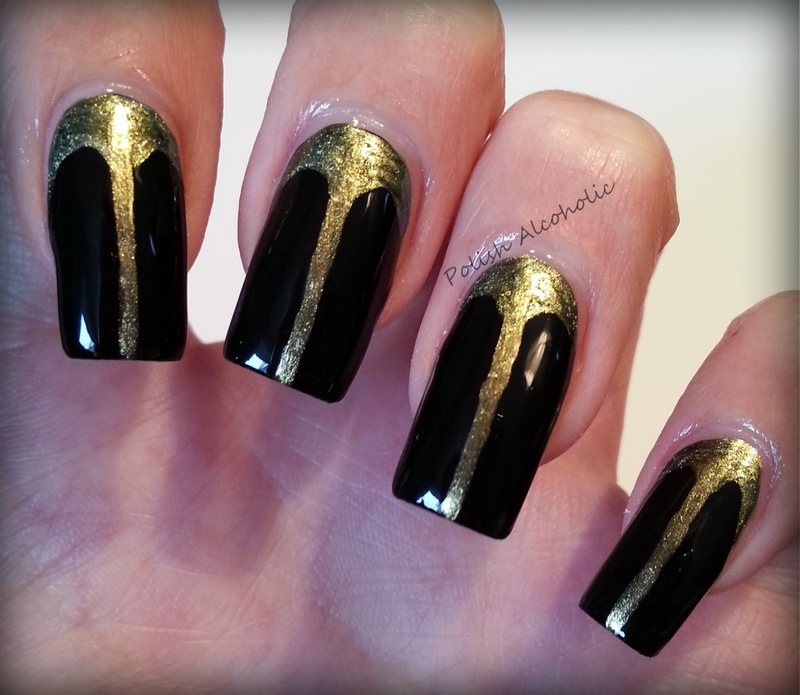 This entry was posted in Nail Art and tagged black and gold nails, nail art, wordpressbeauty by Polish Alcoholic. Bookmark the permalink.